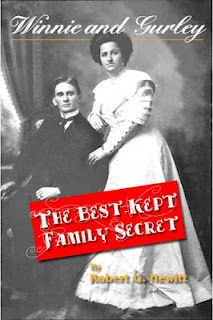 "When they met in 1906, Winnie Griffith was the headstrong fifteen-year-old daughter of a wealthy small-town merchant and Gurley Hewitt the hardworking twenty-year-old orphaned son of a Methodist circuit rider. When they fell madly in love, nobody approved. It took them two years to overcome the opposition, and then they married. It was a romantic beginning. This is the story of its tragic end. Award-winning artist Robert Hewitt is the youngest grandchild of Winnie and Gurley. Throughout much of his life the family conspired to keep him ignorant of his grandparents' story even as they were hanging onto a large horde of memorabilia and materials that, all together, told the tale. All of it ended up in Winnie's gargantuan black trunk, the same trunk in which she'd carried her schoolgirl wardrobe back and forth on the train to Rollins College. After Winnie's death, at her specific instruction, the family gave the trunk to Robert. Reader response to his 2010 memoir of the toys and activities of his childhood - No Instructions Needed: An American Boyhood in the 1950s - made Robert open the trunk and follow the clues. In Winnie and Gurley: The Best-Kept Family Secret, he invites us to join a quest for family truth in which he unwinds the threads of deception and memory. The result is the discovery of an all-American mix of ambition and ardor all but fated not to end well. Definitely a Who Do You Think You Are? 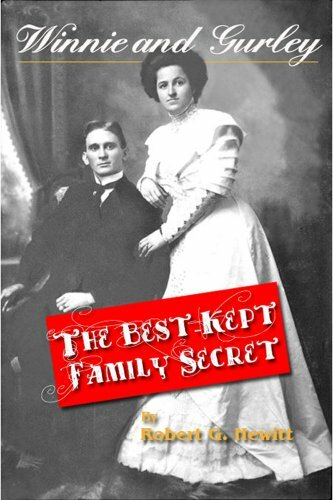 kind of story, Winnie and Gurley: The Best-Kept Family Secret is a book to be relished and thought about about anyone who's ever wondered if things were exactly as they seemed in his or her family." An apocryphal story that's often to be found in collections such as the Chicken Soup for the Soul series shows a teacher asking their class how many of them know something about their parents, then grandparents, then great-grandparents. Progressively fewer and fewer hands are raised, and it's chilling to think that in just three generations, most of us will be forgotten by our descendants. Stories like Winnie and Gurley go a long way towards preventing this happening in author Robert G Hewitt's family (although he is an only child, and never mentions having any children of his own, so it's possible that the story dies with him anyway). In any case, the circumstances following the death of the protagonist, Winnie, combine with an extraordinary treasure trove of evidence and memorabilia to create a spellbinding narrative. Part biography, part mystery, and part photojournalism, the format is equally unique - but it is for this reason that buying Winnie and Gurley in the form of a physical book is more advisable than purchasing it as an ebook, purely to maximise the quality and enjoyment of the photographs and documents provided. These are interspersed throughout the book, with informative captions, and are best viewed close up in the highest resolution possible and on good-quality paper, rather than on a screen. The story is not always told chronologically, but this doesn't make it difficult to follow (although this is not to say that the inclusion of a simple family tree would not have helped). To the contrary, it makes compelling reading, with the reader desiring further, detailed explanations of what has actually occurred within the family. However, it is in some ways clear that the book is not ready for publication beyond the ebook format: graphics at times seem amateurish, information is at times repeated unnecessarily and occasionally the story appears disorganised, which is always a danger with choosing a non-chronological format. An editor would need to take a red pen to this before traditional publication was considered, but the reading public would surely benefit from the result. The combination of genres as mentioned above means there is something in the tale to appeal to all, and Hewitt's style is trusting and only semi-formal, giving the impression that he is telling the story to you personally. It's possible that some readers find the ending unsatisfactory, as ultimately the mystery is never resolved, but this is true to life, where not all mysteries are resolved. Even though this is the case, what remains is a precious legacy not just for the Hewitt family, but for readers everywhere.